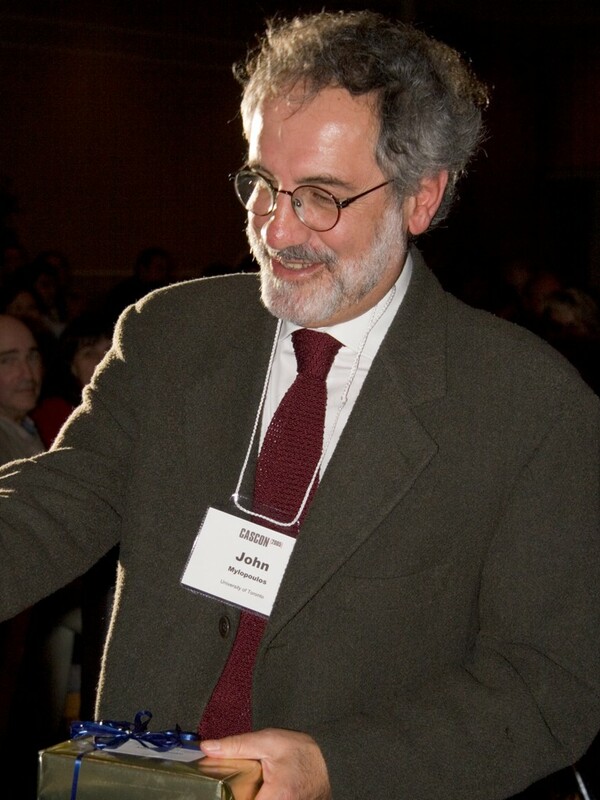 John Mylopoulos received his BEng degree from Brown University in 1966 and his PhD degree from Princeton in 1970, the year he joined the faculty of the University of Toronto. His research interests include information modelling techniques, covering notations, implementation techniques and applications, knowledge based systems, semantic data models, information system design and requirements engineering. Mylopoulos is the recipient of the first Outstanding Services Award given by the Canadian AI Society (CSCSI), a co-recipient of the best-paper award of the 1994 International Conference on Software Engineering, a fellow of the American Association for AI (AAAI) and the elected president of the VLDB Endowment (1998-01, re-elected for the period 2002-05). He is co-editor of the Requirements Engineering Journal, published by Springer-Verlag. He has also contributed to the organization of major international conferences, including program co-chair of the International Joint Conference of AI (1991), general chair of the Entity-Relationship conference (1994), program chair of the International IEEE Symposium of Requirements Engineering (1997), and general chair of the 30th VLDB Conference (2004). He has served on the editorial board of several international journals. He has served on the editorial board of several international journals. Brodie, M., Mylopoulos, J. and Schmidt, J.,(eds.) On Conceptual Modelling: Perspectives from Artificial Intelligence, Databases and Programming Languages, Springer Verlag, 1984.